Take your teens to the best camp ever or let us help you host the best retreat ever. We can’t wait to see you and welcome you home. 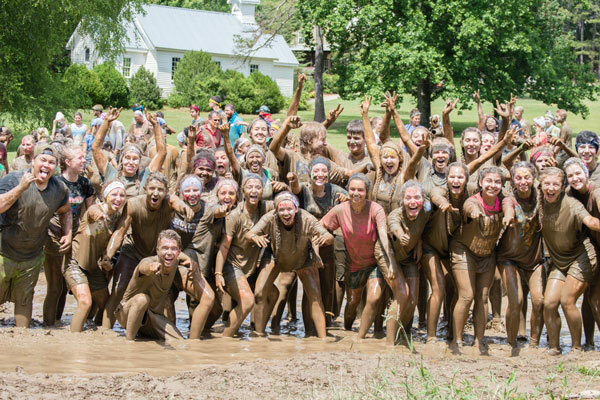 Life Teen summer camp is an adventure that your teens will never forget. It’s an experience that will help teens deepen their prayer life, take ownership of their faith, grow in community with their parish friends and break down anything holding them back. With multiple summer camps all around the country, including our brand new Camp Wild Sky in Medina, TX, we’ve been welcoming teens home to the #bestcampever for more than 10 years and we look forward to welcoming you home too. Covecrest is a Catholic camp set in the mountains of North Georgia. It’s a place where parish youth groups from all over the country come together to experience summer camp at its best. Parishes also use Camp Covecrest as a retreat destination through out the year. Let us help you treat your teens to the best retreat ever! Camp Hidden Lake is a Catholic summer camp located in scenic Dahlonega, Georgia. During the summers youth groups from around come to experience the best camp ever. The rest of the year, Hidden Lake is a popular retreat destination. Come let us welcome you home. We are excited to welcome you to Life Teen Camp Golden State in Big Bear, California! The best summer camp that the west coast has ever seen, Life Teen Camps will be venturing to the beautiful mountains of Southern California to bring your teens two full weeks of High School camp again this summer. Help rebuild communities impacted by natural disasters in a unique Life Teen Summer Camp experience with Restore Mission Camps. From major rebuilds to minor repair projects, we’ll be restoring communities in Lafayette, LA and Houston, TX while evening sessions, led by a dynamic speaker, priests, and worship leader, will break open scriptural topics to strengthen your teens discipleship relationships with one another and with the Lord.